This Thursday will be my last class of the semester, as well as the last test. I should study but somehow it’s been hard to concentrate. I can’t tell if it’s just that I’m losing steam or what. It’s been hard this past week or so. The day we arrived back in the Bay Area after our trip was the first heavy rainfall of the year. 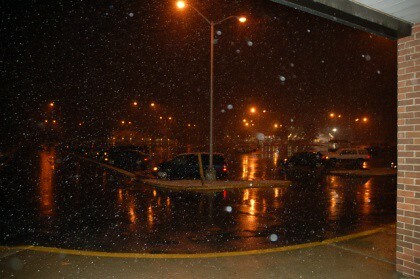 And when we arrived in DC, there were snow flurries, so our trip was bookended by precipitation. Only the difference is, somehow, there’s a magical quality to snowfall, and nothing except dank wet coldness to rain. When it rains in the morning, it’s so hard to wake up and get myself out there. I mean, it’s going to be a miserable day, that’s a given. I’m always super tempted to call in sick, just never get out of bed. If I stay in bed, at least the flannel’s warm, and things are cozy. It’s a struggle. I buy lottery tickets even though I know they’re useless but just in case I can win millions and stay in bed. I know I know, I dream big — win millions = stay in bed. oh nooooo it’s going to rain wednesday and thursday?! gah! complaining about raining is back! i didn’t mind it this time. But I guess it’s rain tomorrow, not today.